Hello there, I am back again with these Adana Köfke; that are so delicious that my stomach cramps up with withdrawal symptoms just remembering them. You have my husband to thank that I post this recipe today because it was on his insistence that I start reducing the stack of lamb mince in my freezer. 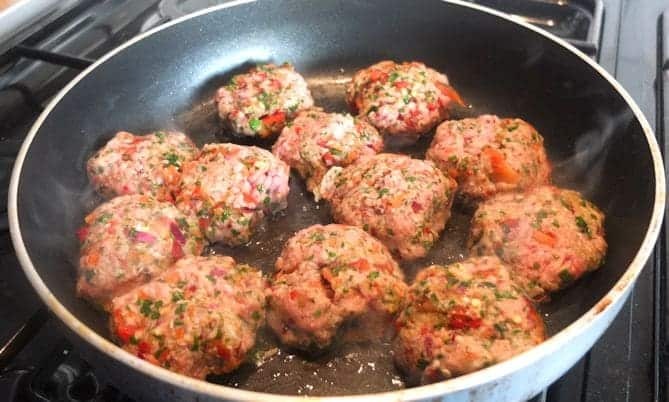 These meatballs are just one taste explosion – a mixture of fresh herb and mint. The flavours are suttle and powerful at the same time. I found this recipe in my new favorite cookbook Persiana. It’s surprisingly easy to make if you have a food processor, and is ready within minutes. Topping the kebab off with yoghurt goes nicely with the succulent lamb. 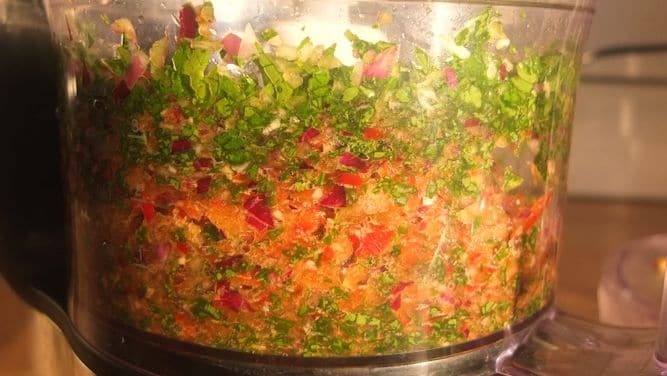 Place the red onion, chili flakes, parsley and ginger into the food processor and blend for about a minute. 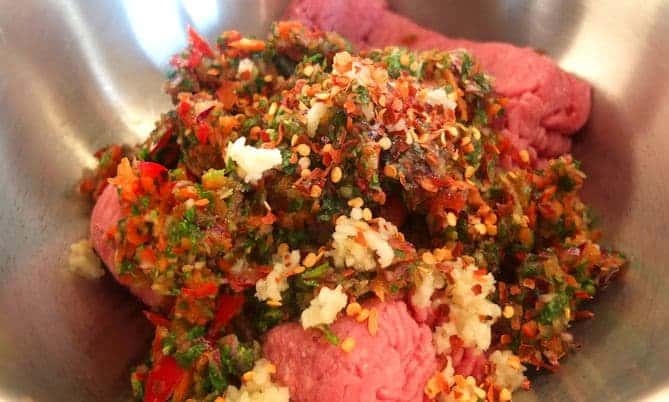 Now add the mixture with the meat into a mixing bowl and knead thoroughly - as if you would a bread dough. Make sure all the ingredients have been evenly distributed before you form them into 5-7 cm big balls. 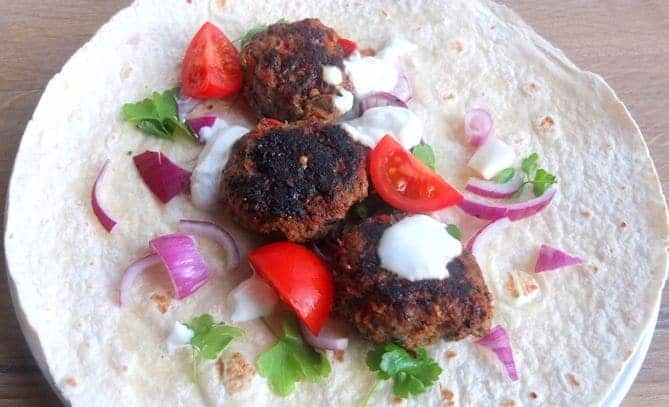 Serve the meatballs in tortilla wraps with sliced red onion and chopped parsley. Top the mixture with a little bit of Greek yogurt.